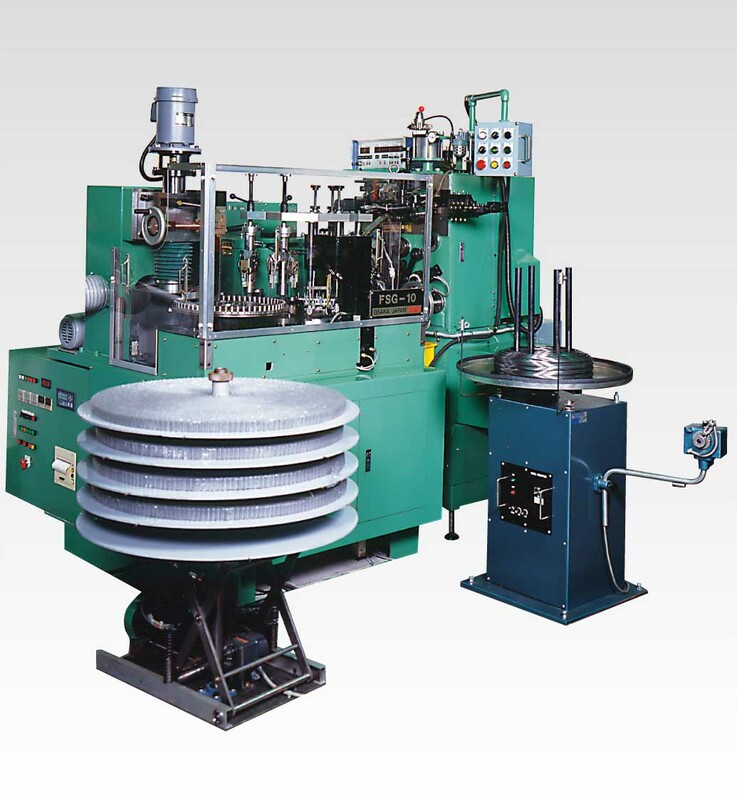 The CS Master system offers a completely automated compression spring manufacturing process that can include every stage from coiling to packaging.A full range of options includes in-process seat grinding ,load testing,compression setting,and other functions. 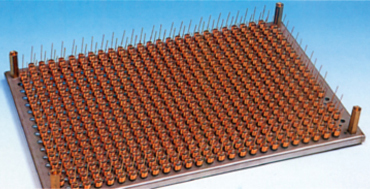 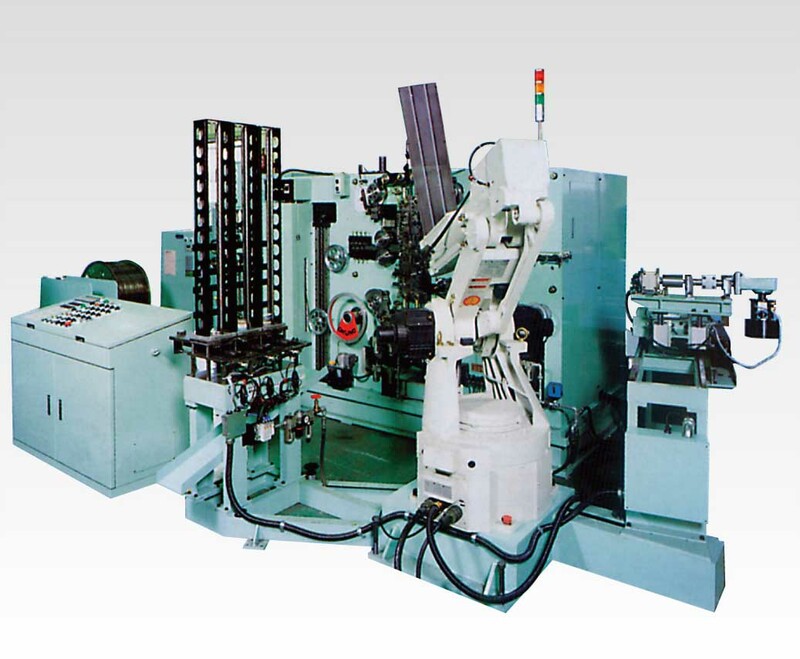 This automated spring-manufacturing line includes wire feed measurement, annealing, end forming, cutoff, winding,case insertion, and box packaging processes. 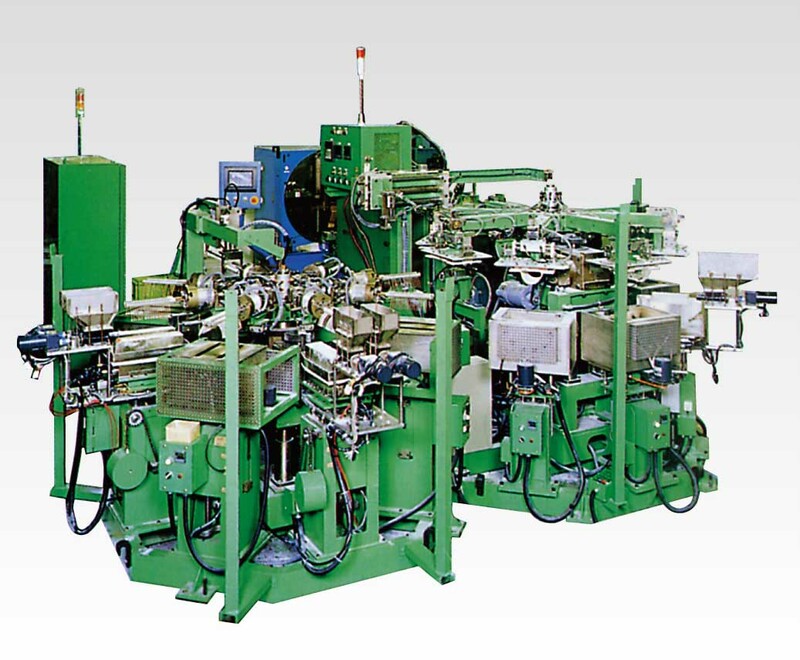 This spring forming line measures the coppe wire, removes surface coatings, forms and cuts torsion coils,loads them into pallets, and changes pallets all in one integrated automated operation. 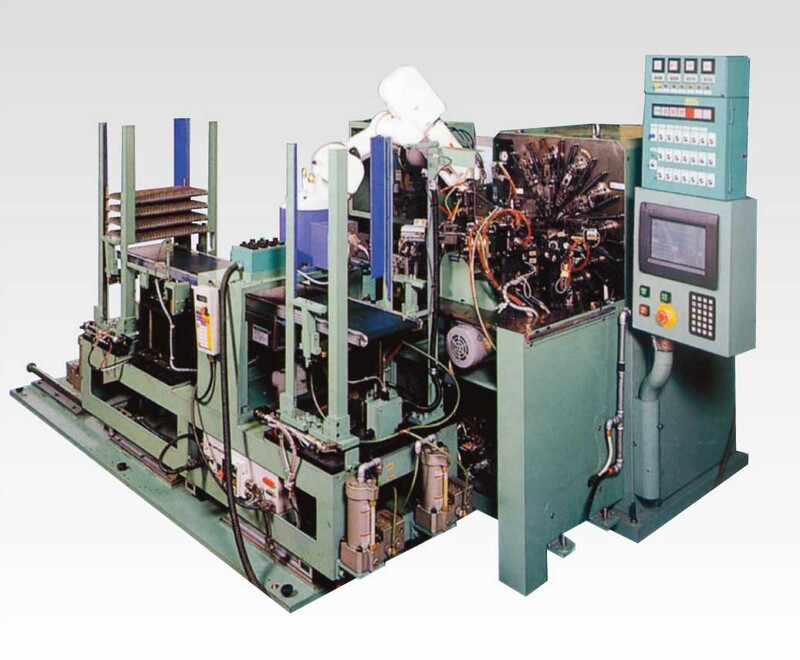 This forming line manufactures brassiere rings in one automated operation which includes ring forming, cutoff,tempering, partial surface coating, and end coating.